I took my gf to look at the Fiat 500X and Subaru Impreza this weekend. Having already driven them myself, I knew the Impreza was a much better car, but with how much she loved the styling of the 500X (in pictures) I thought maybe she’d end up wanting to get the 500X. I shouldn’t have doubted her. Once she drove the cars back to back, starting with the Fiat, she was all about that Impreza. Better seats, better visibility, better ride and handling, better interior, and at least the feeling of better acceleration. It’s a much better car in pretty much every way, and she likes driving it much more. Our local Subaru dealer has 2 cars that could work for her, both in pearl white with non-black interiors (she’s sick of the black interior in her Civic and wants something lighter). One is a 2.0i Sport Premium with tan cloth, heated seats & backup cam. The other is a 2.0i Sport Limited with “ivory” leather, sunroof, nav & EyeSight, fully loaded, the only thing she’d like that it doesn’t have is power seats because no Imprezas have power seats. I was suggesting we get one of these two cars sooner rather than later, but she wanted to get the hell out of that dealership ASAP, because, yeah, she hates car dealerships. But we talked about it when we got home, and she wants to try and go for the fully-loaded one, if we can work out a nice good lease deal on it. 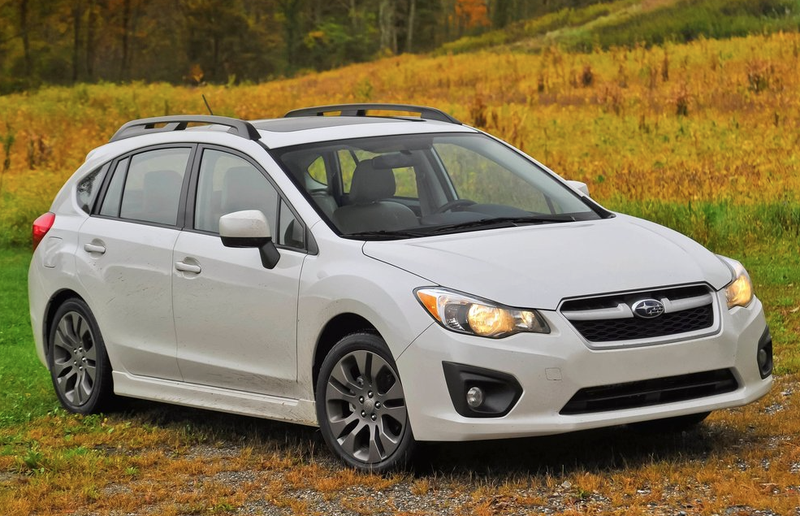 We thought about maybe waiting for the new 2017 Impreza, but there’s no guarantee that Subaru will be doing subsidized leases on those like they’re doing on the 2016, so we figured better to get a good lease deal on the 2016 since she likes the car. The sales guy is really pushing to buy it rather than lease it, but I know Subaru is running lease programs so it’s just going to be a matter of haggling. But if I can get the numbers right, she’ll be rolling around in her brand new fully loaded Impreza by the end of the week, just in time to drive to her sister’s birthday party where she can show it off to her whole family. Priorities!